John writes: I downloaded Lion and installed it without saving the installer. Now, the installer is gone and I’m worried that I don’t have a backup way of installing OS X. Is there a way to make get the Lion installer back and create a bootable installer? The answer is yes to both questions. Apple provides a $69 USB installer for Lion, but we’ll show you how to make one for free. First, re-download the Lion installer using the instructions we provided in this quick tip. Once that’s complete, follow these instructions to create your very own Lion bootable installer (courtesy of TUAW). Using Finder, locate the Mac OS X Lion Installer. 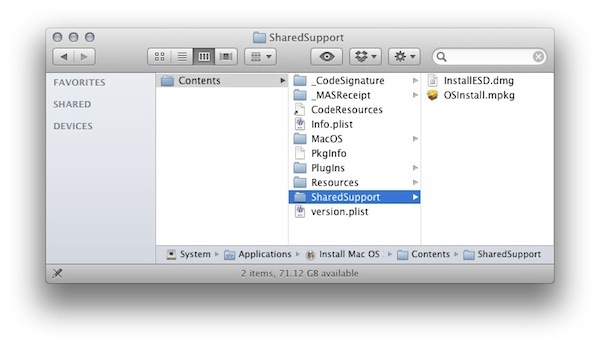 Navigate to the SharedSupport folder and find the file called “InstallESD.dmg.” This is the boot image for the Lion installer. Copy that DMG file out of the Installer package and onto your Desktop. For a bootable DVD, click the Burn button in Disk Utility, navigate to your Desktop and select the InstallESD.dmg file and select Burn. Once either process is complete, you’ll have a free, fully-functional bootable installer for OS X Lion.